All hail the power of networking! I’ve always learned that it’s a key factor when it comes to landing a job and career growth. And in today’s digital age, networking takes on whole new meaning – one where your social media profile serves as your virtual business card and your social network offers up a whole different layer of opportunities to connect. Here’s a “Status Update” for you: there are unwritten rules when it comes to networking in the social media age, where the “www” is more like the wilder wild west! Check out how to make the most of networking and how to improve your social media profile. Before you start reaching out to people, make sure that all your social media profiles are consistent and professional. 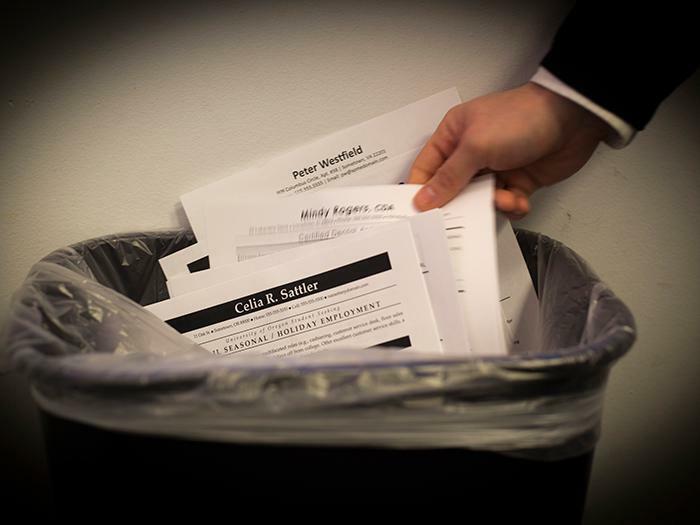 Delete any photos that you wouldn’t want a potential boss to see (when in doubt, delete!) and make sure your Facebook wall is free of any comments that don’t feature you in a positive light. For example, even a seemingly innocent status update like: “Can’t wait for the weekend already,” “So stressed right now!” or worse: “Another Thursday night, another Friday hangover,” will not do you any favours. Of course it’s common to wish for the weekend, but it sends the message that you either don’t enjoy working or that you’re unmotivated. Try to exude a positive attitude on social media with status updates like: “Love Mondays - another week of possibilities!” or even “Nothing better than ticking things off your to-do list,” which send messages of optimism and productivity. As well, make sure all your profiles are consistent: review your description, background and experience on all the social media channels you use and make sure they are all up to date. Now the fun begins –you can start expanding your network. Start by sending friend requests to those you know, such as friends, former classmates, former employers or managers, and even acquaintances. The more people there are in your network, the more you create opportunities – and you never know what doors they can open in your career. Never be too casual or too pushy. Although social media is informal in its nature, always keep your correspondences professional, light and brief. Approaching former coworkers or managers for recommendations should always be handled with care. Make sure to preface the request with a friendly and professional note – don’t just send the endorsement out of the blue. Also, make sure to follow up the completed recommendation with a thank you note via email – this is an important yet often forgotten step. You need to be cautious when it comes to asking your contacts for favours. For example, if a former colleague or classmate of yours is now working at a company that interests you, it’s definitely acceptable to email them to ask about possible opportunities they may know of, but again, handle with care. No one wants to be pestered online, so don’t harass them (if they don’t respond within one week, send a short follow-up email – and leave it at that), and make sure to keep it professional. This is a bit of a “pay it forward” approach, but if you see the opportunity to match up one of your contacts with a potential employer, let them know about it! There really is such a currency as “social capital” and good karma, and when you help out others in any way, they are usually likely to return the favour by telling you about a job opportunity or referring you to a potential employer – sometimes when you least expect it! Whenever you have time, proactively reach out to contacts in a friendly way. Simply sending them a “Happy birthday” message or a quick “Just wanted to touch base and see how you’re doing” email ensures that you remain top of mind and also makes it easier to approach people when you actually do need something – maintaining a friendly rapport and relationship goes a long way! Make it part of your daily routine to “Like” or comment on others’ status updates or links (always keep it brief) and participate in forums and conversations. The beauty of social media is that the conversation is always going on – it’s up to you to engage and make sure you’re a part of it! However you decide to use social media, make sure you leverage it and make it work for you in every way.